Not all people are candidates for LASIK eye surgery in Georgia. The only way to know for sure is by a thorough in-office LASIK evaluation. Take the first step and complete our LASIK Self-Evaluation test. 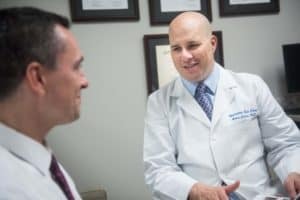 If you are not a candidate, our Georgia LASIK doctors will explain the reasons and may suggest a different vision correction procedure for your needs.